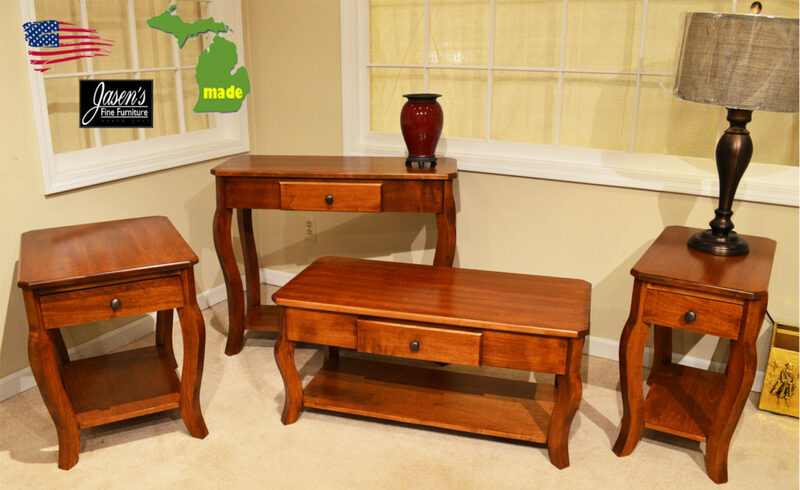 Michigan Curved Leg Tables feature traditional curves yet contemporary cleanness. The Curved Tables feature bombay legs, yet modern clean lines. The clip corner tops also feature clean, space saving style. The finish is durable in addition to the curved styling. The tables shown are Maple, yet can be ordered on other wood species. Maple features smooth grain that consequently make the tables more modern. Brushed copper color hardware is used although there are many other hardware choices. 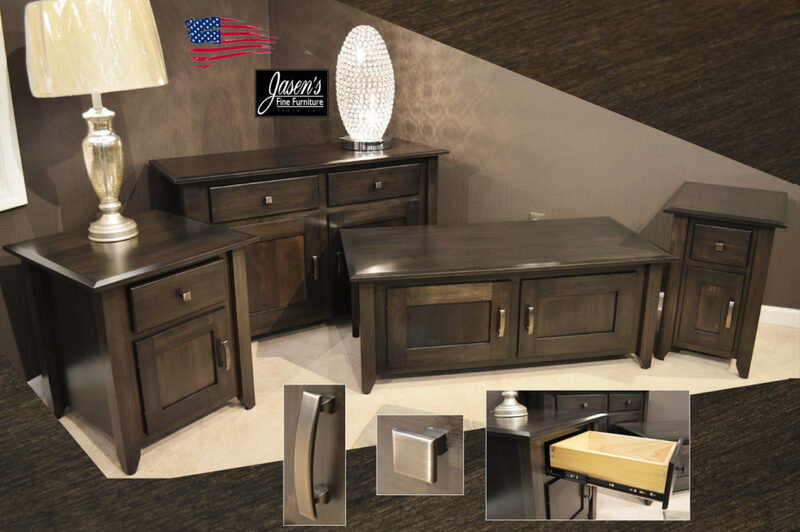 The Curved series can now be enjoyed in almost every room of the home! 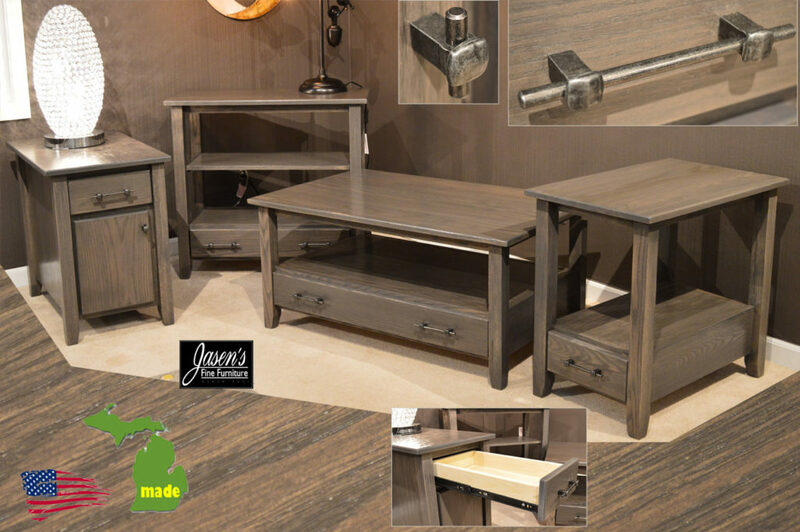 Finally, the tables are Michigan made, hence made in the USA! Clearance, was $649. now $499. 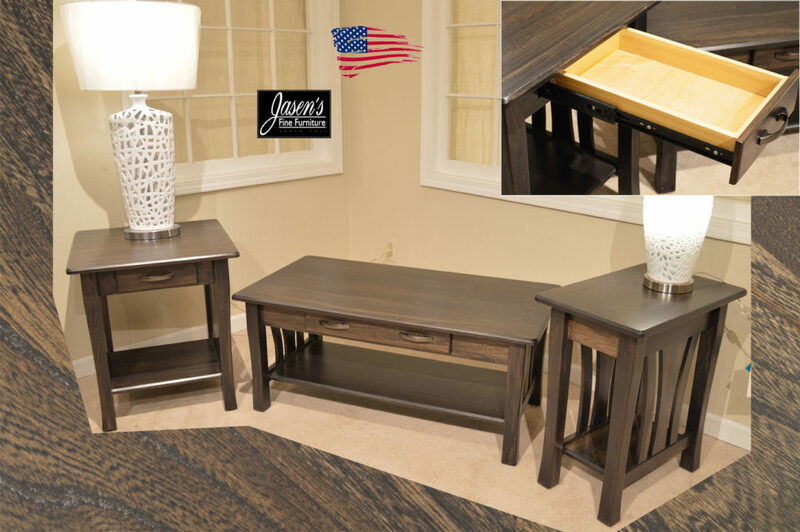 Amish Husk Tables feature clean lines yet traditional features. The Husk finish is a unique color while the champagne hardware compliments it. The finish is shown on Brown Maple, yet can be ordered on other wood species. Champagne hardware is used although there are many other hardware choices. The Husk series can now be enjoyed in almost every room of the home! 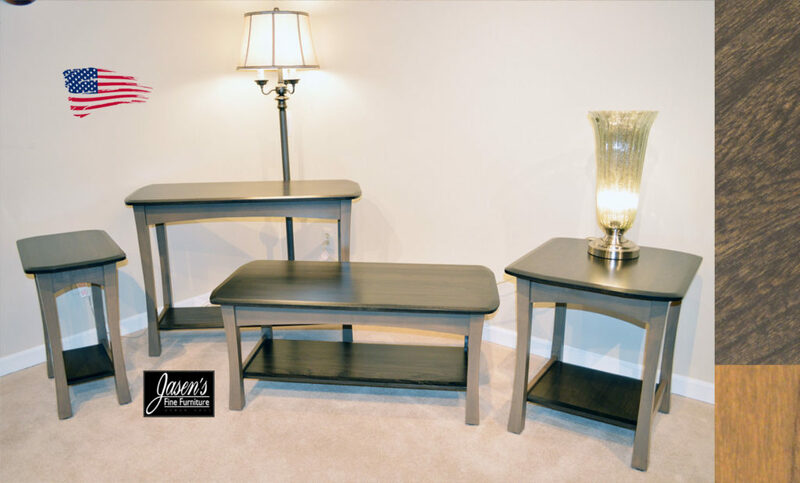 Amish Barn Floor Tables feature rustic yet modern style. 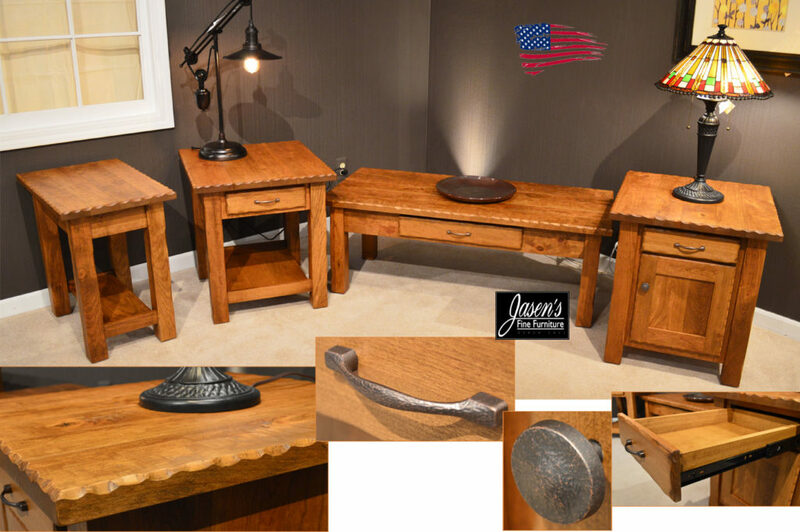 Tables feature Rustic style while still having a modern appeal. 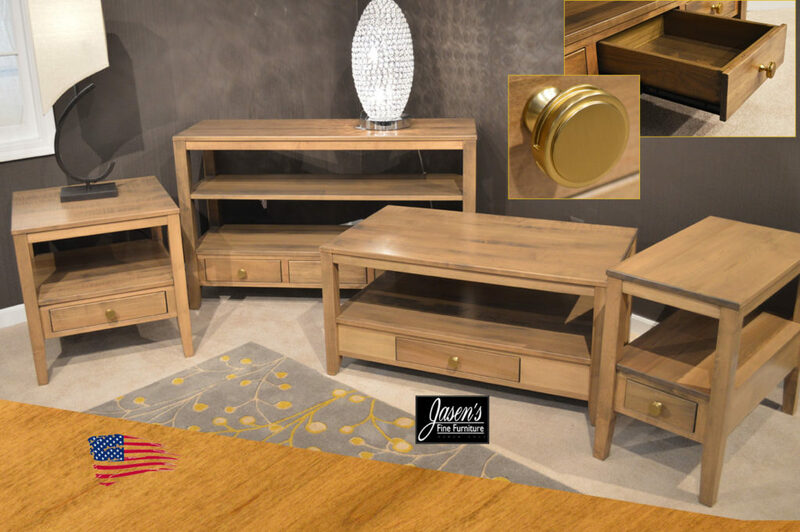 The tables are shown in an almost gold and brown stain, hence a golden brown stain. The solid Maple wood tops and shelves showcase a unique stain. The tops on the tables are planked while the edges are square. 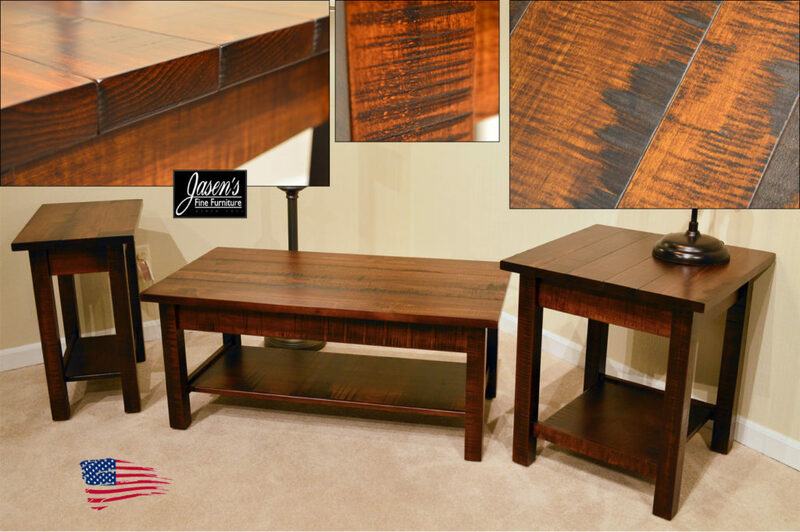 Amish Dark Knight Tables feature almost bird feather-like grain pattern. 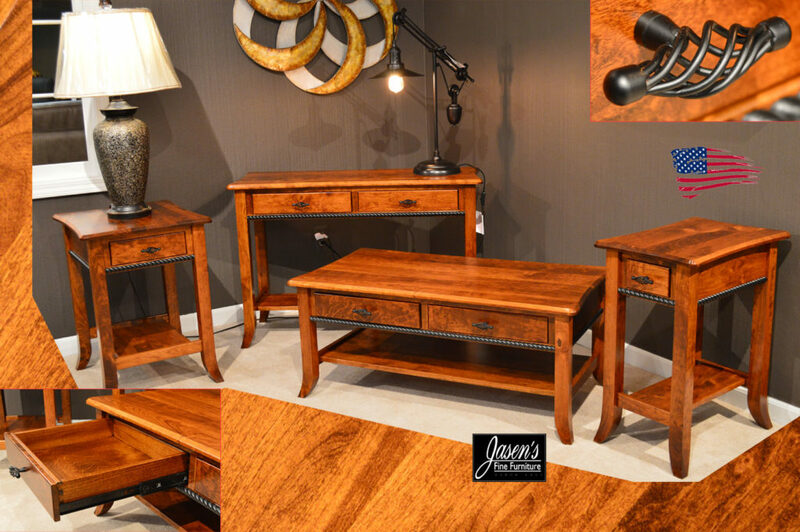 The solid Elm wood tops and shelves showcase a unique stain. The tops on the tables are bowed on the ends while the edges are beveled. 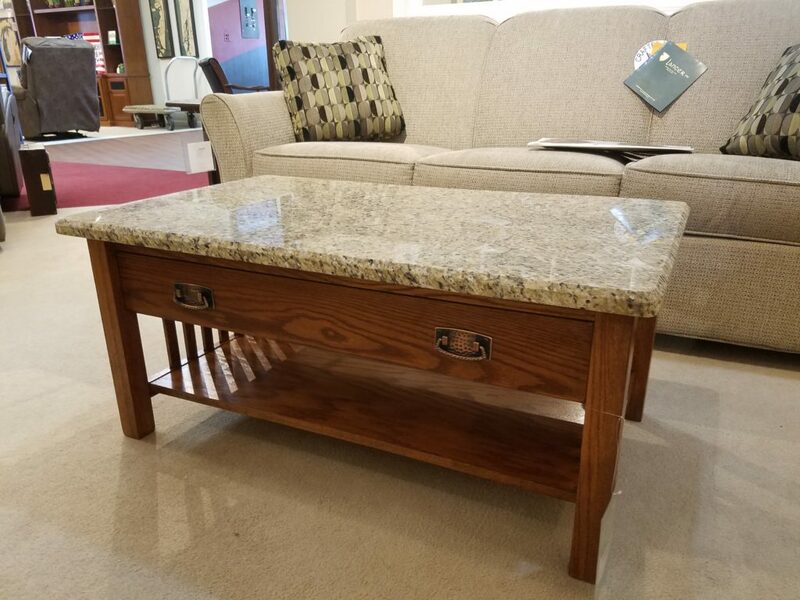 Frames on each table display another unique grey stain that has a hint of yellow.